Set within “Hyde Park Plaza”, a premium city address is this classic studio apartment overlooking the green canopy of Hyde Park. Featuring a modern separate kitchen and bedroom space, this well-proportioned and nicely renovated apartment ready to move in or rent out with not a cent to spend. Large mirrored floor to ceiling built-in wardrobe enhances the sense of space in this light filled studio. – Light filled studio apartment with large park view windows. – Reverse cycle air-conditioning and built in laundry. – Generous combined living/sleeping accommodation. – Fully equipped kitchenette with ample built in storage. Australian Museum, Cook and Philip Park and Aquatic Centre, Hyde Park, NSW Art Gallery and city attractions are a short walk away. Conveniently located on the border of the CBD, Surry Hills and East Sydney with access to an abundance of shops, cafes, restaurants, transport, parks and a short stroll to the office. This amazing studio apartment offers a home away from home or as a savvy investment opportunity. 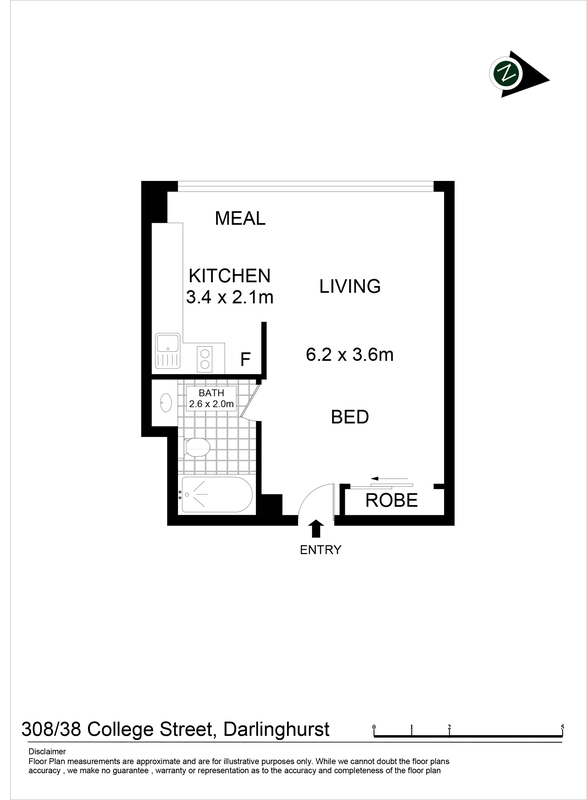 To inspect this fantastic apartment, please contact Tolga Ozer on 0410 888 939 today.